Want to keep their savings, to present a special gift or just feel like the owner of treasures – buy precious metals in banks. The most popular traditionally used gold and silver, next to them are platinum and palladium. One of the most reliable places to buy goldis the Sberbank of Russia. Sberbank of Russia, along with other banks offers services for selling and storing bars of gold, silver, platinum and palladium. All precious metals sold in the form of bullion or commemorative coins. You can also open the depersonalized metal account. Before buying gold in the savings Bank review Rules for buying bullion in Sberbank of Russia.As for buying gold in the savings Bank, and sell, track the fluctuation of the value of 1 g gold to your investment brought the greatest profit. The price of gold and other precious metals in the savings Bank depend on the world prices (as of June 26, 2011 1 g of gold worth R. 1416) Of the four metals, which offers to buy the savings Bank, gold is in third place by value. Cheaper silver and palladium, the most precious metal – platinum. In order to buy gold in the savings Bank, you must bring your passport.If you decide to purchase bullion or coins and take them with you, the value your purchase will include VAT. Bars on request and at an additional cost and can be Packed in high quality packaging – a beautiful box with the logo of the savings Bank. To store the purchased gold can not only at home but in a more secure place, i.e. in the Bank. The savings Bank offers such opportunity. Storage is either in the Bank vault, either in the individual cell-the safe. For the original present in addition to the cute little gold ingots suitable commemorative coins, both Russian and foreign production – Sberbank actively cooperates with the mints of Australia, Germany, China, New Zealand, Poland and other countries.Gold coins are presented in various thematic collections. Some coins, Swarovski crystals, sold in boxes specially designed for them design. Opening OMS, you get the chance to increase their savings due to changes in world prices for precious metals. If desired, the account may be "cashed out" in bars, which will have to pay VAT. The rating is also influenced by the status of the certificate. So, if the ingot is in excellent condition, but the certificate is torn or stained, the cost will be calculated for the ingot in a satisfactory condition. Please note that in the presence of a depersonalized metal account operation selling gold much easier, because the condition of the bullion will not affect the transaction value. Do not buy gold from individuals, it's safer to go to the Bank, which in the future will be able to store your bullion, as well as their implementation. Don't forget to bring your passport, because without it there can be no banking transaction, including buying and selling of gold. 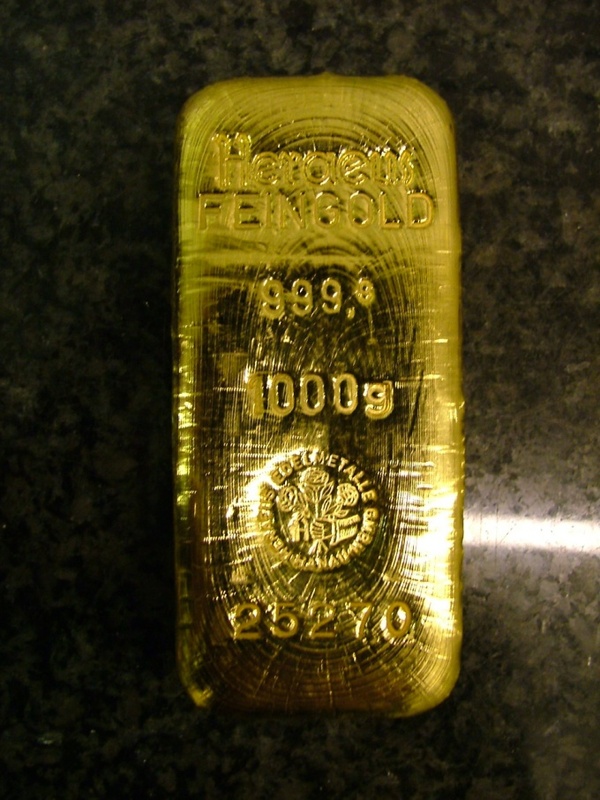 Buying gold, make sure that along with gold bars or coins you received a certificate and the passport manufacturer. These documents are required when selling gold to Sberbank. Decide in advance whether or not you sell your bullion or coins. Among the coins, for example, the greatest demand of gold and silver coins.